Another challenge that women typically face in ad tech, according to Arnon, is juggling the demands of work and family. “Women find themselves torn between the fast pace, long hours and global travel required in ad tech and being available for their family,” says Arnon. “It’s an ongoing battle that I have with myself. We can’t do both. I don’t mean we have to choose between being a mother and career woman, but where to spend more of our time. While men get to continue to climb the corporate ladder, women often get left behind due to family priorities. And in today’s ever-changing, fast-paced digital world, you can’t afford to be left behind,” states the CEO. I hate to say it, but a third challenge for women in ad tech is the environment itself. The business is not supportive enough. But instead of playing the victim, we need to work harder and invest more than the average man in the same position. Regarding the sensitive issue of whether it is harder for women to achieve executive positions in ad tech, Arnon says: “I wouldn’t judge it in the terms of harder or easier. I think being a woman in an environment that is 99% dominated by men most of the time puts you in a position where you need to bring certain capabilities to the table. First and foremost, you must think of yourself as an equal and able to have the same conversations as men – whether financial or technological. You need to think you can challenge the men around you – and make them realize that that they aren’t smarter or more capable than you are,” she asserts. Addressing the topic of how more gender-balanced management could strengthen ad tech companies, Arnon says that any organization would benefit from a combination of needed traits that both male and female employees possess. “A discussion or project that includes both men and women is more balanced. There are more voices being heard. On the one hand, there will be people with ego, which is important because it drives fire and strength. On the other hand, there will also be people who are more holistic in their way of listening and thinking. The more diverse and versatile the team, the more capabilities, personalities and skills it has, which all contribute to overall success,” says Arnon. “On that note, I’d like to acknowledge that at Brightcom, we have a lot of talented women increasingly filling management positions. However, that being said, our company doesn’t consider gender as a hiring criteria – we hire and promote solely based on employee job performance and skills,” states Arnon. According to Arnon, the field of ad tech has gotten more diverse over the years. “In addition to Brightcom, I see other ad tech companies, such as AppNexus, hiring more women in management positions. There are also ad tech companies that have been founded by women, such as Improve Digital. Let’s not forget Facebook’s Sheryl Sandberg. Startups still have a long way to go regarding hiring women in management positions. The trend is there, though building very slowly, especially in the fields of ad tech and the Internet,” she says. Adds Arnon: “I’d encourage women to ask questions, feel equal and challenge others. Chances are, the others don’t understand either but aren’t brave enough to ask. Challenge yourself by going outside of your comfort zone, especially when you feel when you’re doing the same thing every day and no longer learning. Don’t settle for routine. “Additionally, always take responsibility. Don’t blame the environment and others for your failures. Take control of your environment. You need to ask yourself what you can do in order to change your reality. I don’t spend time looking at what others can do better. I spend time looking at what I can do better,” concludes Arnon. Gali Arnon is the CEO of Brightcom. Gali brings more than 15 years of senior management experience, leading large organizations and divisions within various industries, including the Internet space. Throughout her career, Gali has served as Senior Vice President of 888, a global leader in the online gaming entertainment industry, and as the CEO of Wall Street Institute ISR, the leading provider of English-language education worldwide. 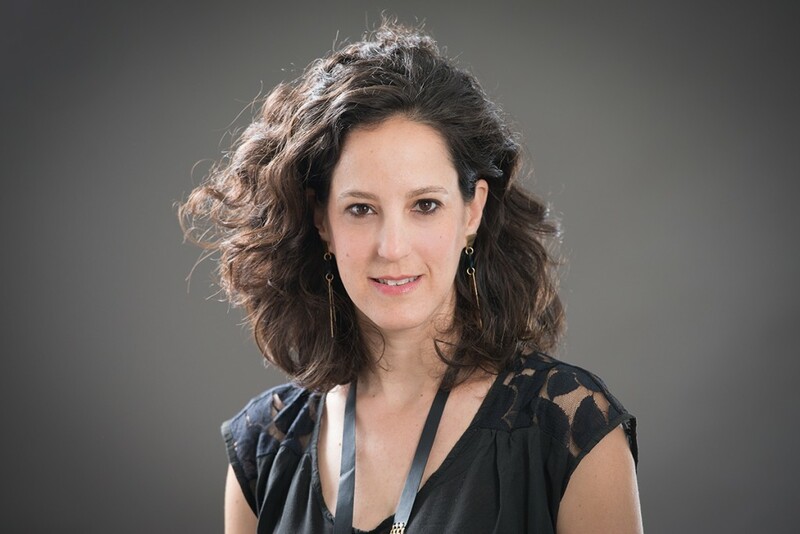 She holds a bachelor’s degree in communication and psychology, as well as an MBA with specialization in marketing from Tel Aviv University in Israel.